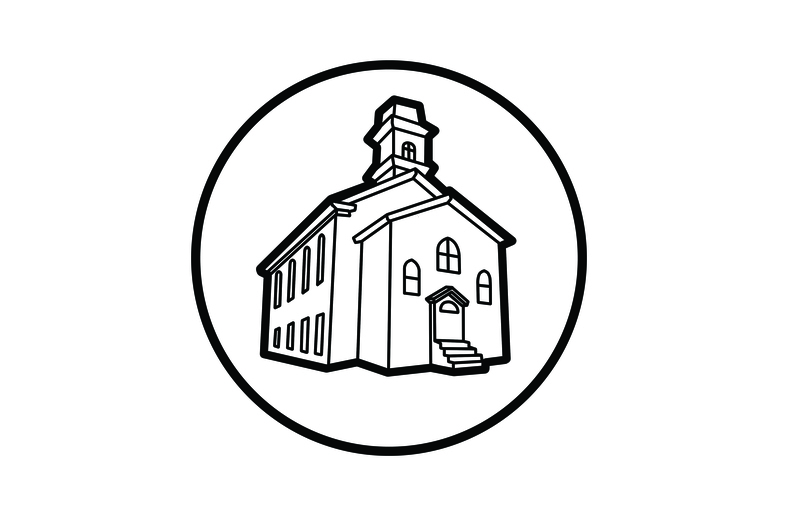 The Computer Church: The An Electric Tabulating System; Author's Edition. 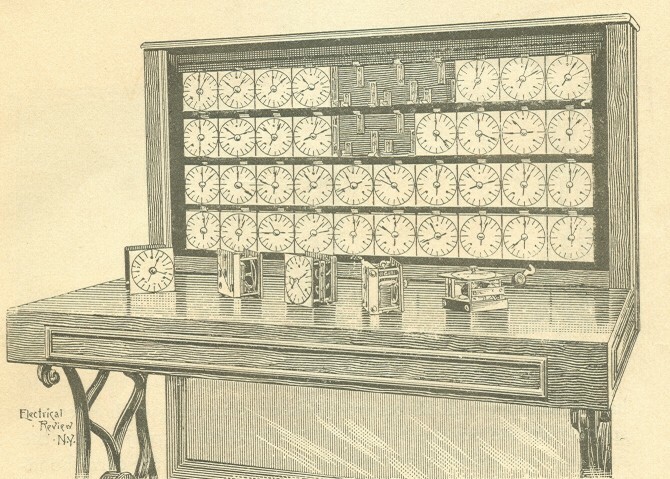 No less an authority than Columiba University points out that Herman Hollerith is "widely regarded as the father of modern automatic computation." (it's probably worth noting that Hollerith was a graduate of Columbia so they might not be entirely objective.) 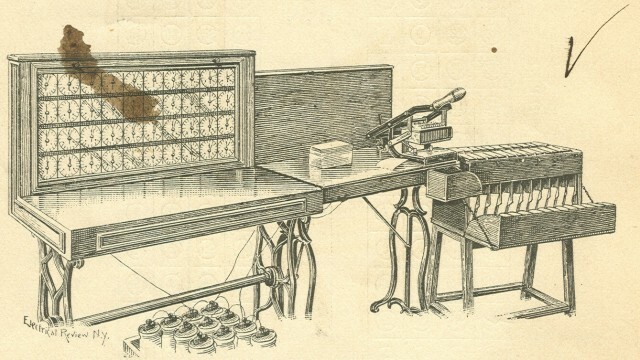 Without a doubt, Hollerith's Electric Tabulating system brought about a sea-change in the way information was handled. 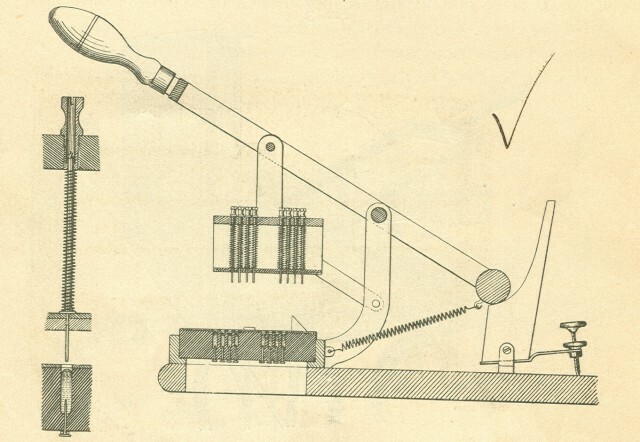 The first article that Hollerith wrote describing his invention was published in April 1889. We are fortunate enough to have the Author's Edition of that publication...a reprint that we believe belonged to Herman Hollerith. 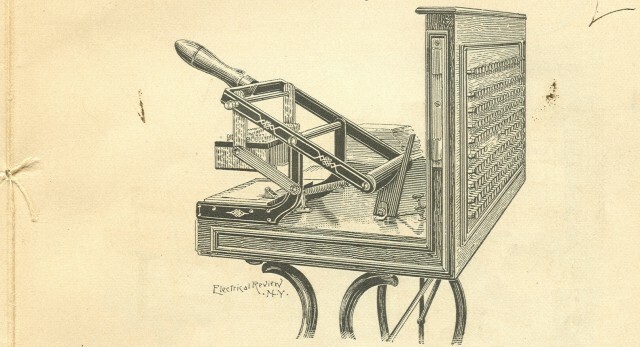 In this article, he describes how his Tabulating System was being used in the 1890 U.S. census. 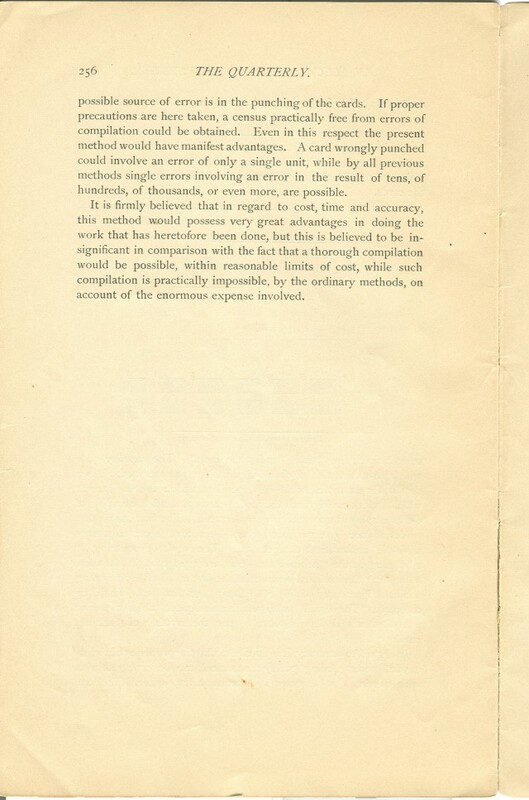 The handwriting on cover may be that of Herman Hollerith. 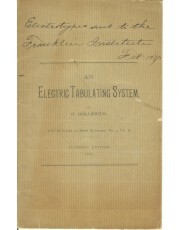 It says, "Electrotypes sent to the Franklin Institute. Feb. 10, 1890" and refers to drawings sent to the Franklin Institute in Philadelphia that would shortly appear as illustrations in the Franklin Institute's Journal. Dr. Hollerith was awarded his doctorate from Columbia University in 1890. However, it seems that Herman Hollerith did not attend classes in the doctoral program and he did not write a dissertation. This has led some to claim that his doctorate was honorary. As best as we can tell, his doctorate was not honorary. Columbia University makes the following claim. "The Minutes of the Faculty of the School of Mines, 3 April 1890, state (regarding Hollerith's lack of prior matriculation in the doctoral program): "Resolved, that the Board of Trustees be respectfully requested to waive this requirement in the case of Mr. Hollerith, and to grant him the degree of Doctor of Philosophy upon the work which he has performed" and by the subsequent Trustees resolution of 7 April 1890, granting him the degree." 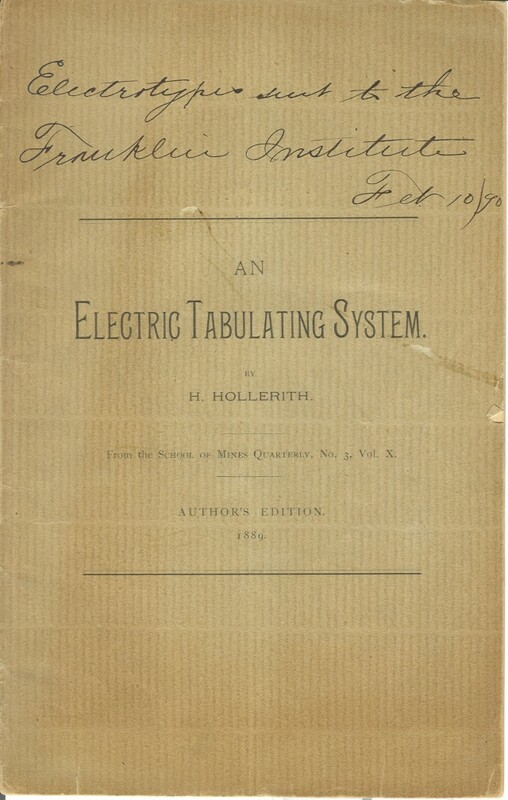 Hollerith's dissertation was entitled, In Connection With The Electric Tabulation System Which Has Been Adopted By U.S. Government For The Work Of The Census Bureau. 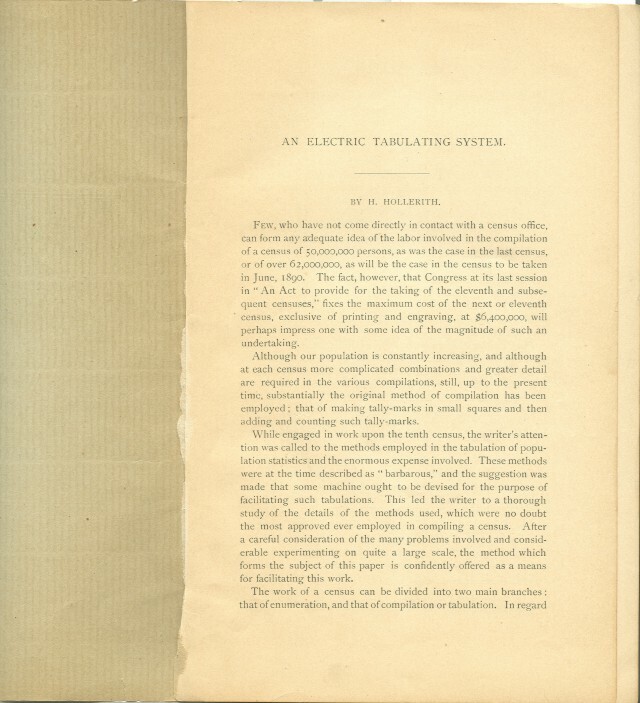 There are unsubstantiated claims that Hollerith's dissertation was the article shown here. Some believe that he submitted a copy of this article, which had been previously printed in the Columbia University School of Mines Quarterly, and the faculty counted it as his dissertation. 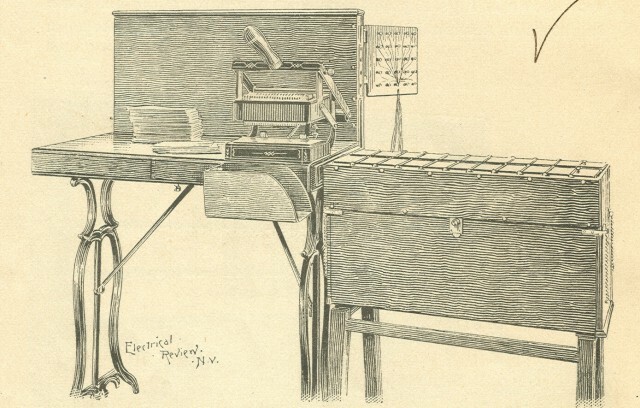 It does make some sense as his dissertation, according to the title, was obviously written after the Electric Tabulating System was adopted by the Census Bureau. We are still investigating this possibility. Hi Bob...at some the list on the right is not intended to be navigable. Use the "searchYEARS" link at the top of the page to choose a computer from a particular decade (ranging from the 1830's to the 1980's). After we get more of our collection online, we will start to make the list at the right navigable. Your website is not navigatable. The Computer Collection list on the right side is unclickable. No way to get to anything on the site. Is it down?